Birth order is an interesting thing. Some people swear it goes a long way in determining personality characteristics, some people are dismissive of the idea that it has influence. I grew up the youngest of four kids and my siblings love to tell me how easy I had it. They say that our parents were pretty much broken in by the time I came along — the novelty of parenting had worn off, they were older and more relaxed and had less expectations of me. My sisters and brother tease me about how spoiled I was — and possibly I did have a slightly cushier childhood than they did. I have a good friend who keeps me from being smug about that by reminding me that no matter how old I get to be and no matter how much life experience I have — in my growing-up family I will always and forever be the “dumb baby”. 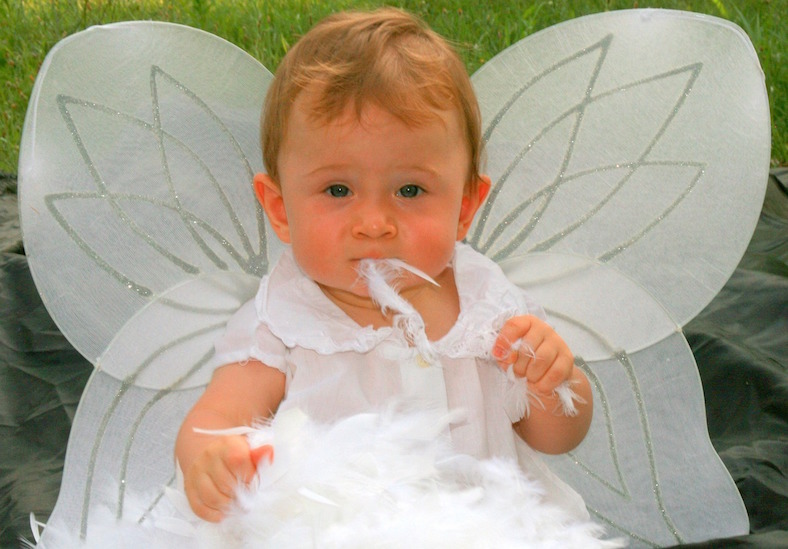 Dumb babies we may be, but at least you have some fairy wings or at least you used to. I know for a fact that you had some you wore at the SFCC plant fair!